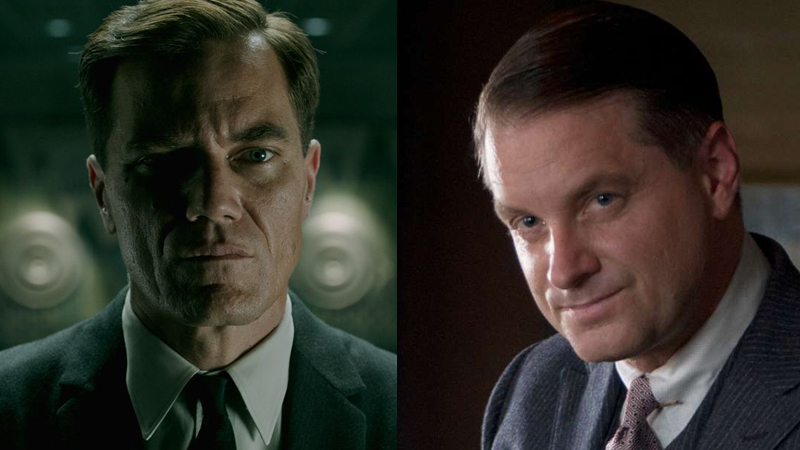 According to Deadline, the latest joint venture between Michael Shannon and Shea Whigham, Scott Teems’ The Quarry, has started production in New Orleans, LA. Per the report, the film follows a man (Whigham) who impersonates as a reverend in a small town after fleeing his sinful past. Naturally, his unorthodox sermons draw the suspicions of the local police chief (Shannon). Shannon and Whigham have teamed up for a number of projects, including Boardwalk Empire, Paramount Network’s Waco and the films Take Shelter, Tigerland and Bad Lieutenant: Port of Call New Orleans. Laura D. Smith and Kristin Mann are producing The Quarry alongside Rockhill Studios, Metalwork Pictures and Gold Star Films. The aforementioned Teems will direct and co-write with Andrew Brotzman. Teems was recently tapped to helm the next installment of the Halloween series, and also penned the screenplay for the upcoming Stephen King adaptations Firestarter and Breathing Method for Blumhouse. Shannon recently wrapped Rian Johnson’s Knives Out and is set to star in Echo Boomers. While Whigham will next be seen in the films Low Tide and Joker.